Short Sale – do you qualify? Homes for Sale in Albuquerque Nob Hill NM are in limited supply. 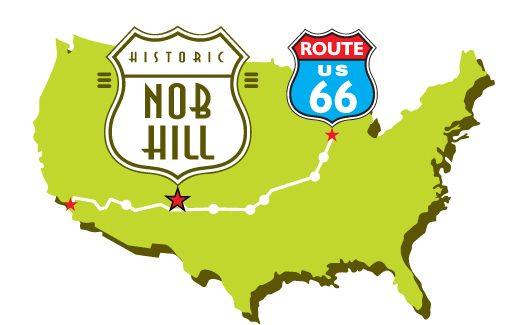 Albuquerque’s Nob Hill is located just East of UNM (University of New Mexico) and stretches from Lomas Blvd on the North to Zuni Road and Garfield Ave on the South, and between Washington Street on the East to Girard Blvd on the West. Albuquerque’s Nob Hill is a vibrant district bursting with eclectic shops, trendy restaurants, and chic nightspots. Route 66 neon signs and architecture combined with predominantly locally-owned shops, galleries and restaurants make Nob Hill a hip and fashionable area located just east of the University. With its historic buildings, abundant neon and high style, Nob Hill is Albuquerque’s premier district for unique shopping, dining and entertainment. It’s not only a place where locals frequent, but a popular spot for visitors as well. About the Homes for sale in Albuquerque Nob Hill and Real Estate: Nob Hill was once the stronghold of UNM students rooming together in Single Family Homes. But with a recent upsurge of infill Condos and upscale Housing, it has become one of the most desirable areas of Albuquerque. Homes for Sale in Albuquerque Nob Hill run from below $100,000 for a 1 Bedroom Condo to above $500,000 for a nicely remodeled Single Family Home. For a list of all Homes for Sale in Albuquerque Nob Hill please use the Map search below or contact Franz. From Downtown, head East on Central or Lomas. From Lomas, turn South on Girard and East on Central. Central Avenue (Rte. 66) lies at Nob Hill’s heart. From I-25, get off at exit 224B (the Central exit). Head East toward the Mountains. Nob Hill begins at Girard, beneath the neon arch. © 2019 R & R Real Estate Partners, LLC. All Rights Reserved. Real Estate Website Design by Home Junction, Inc.